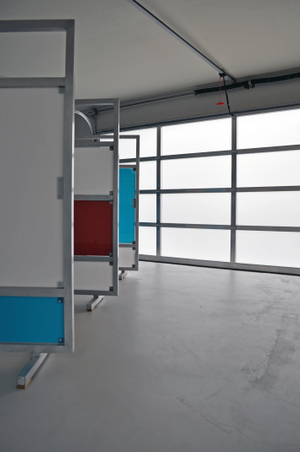 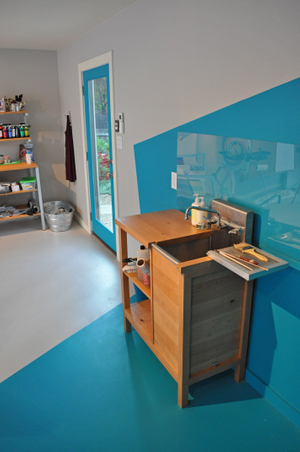 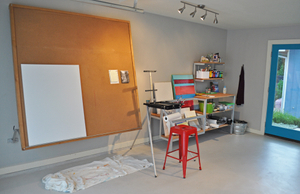 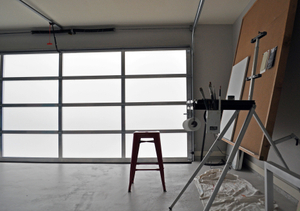 Not needing to use their garage for parking, D&D asked Drophouse to transform their two car garage into a painting studio and exercise area. 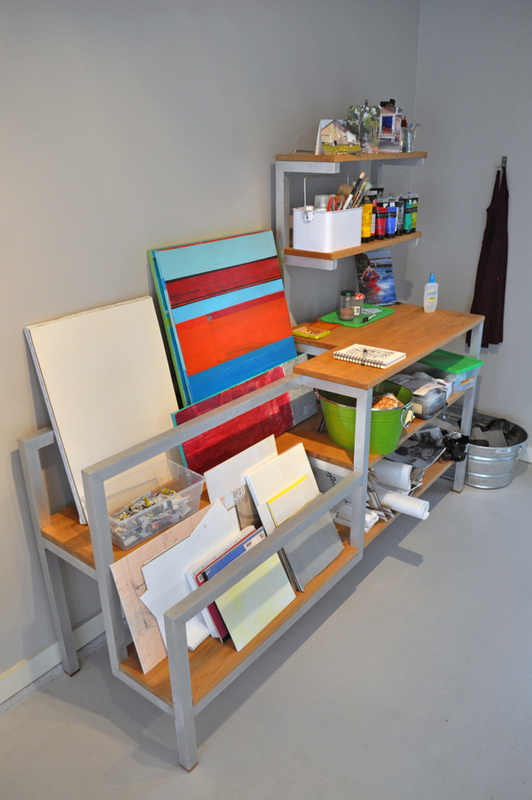 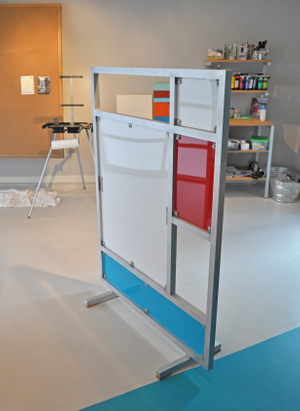 Adjustable art pad, supply and canvas storage desk, brush washing station, aluminum & acrylic partitions. 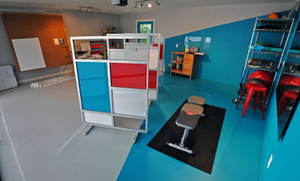 Start to finish, this project was design+build+fab'd by Drophouse.